The Awakening Blu-ray Review. All in all, The Awakening is a fascinating insight into the psyche of Florence whom draws you in from the beginning. 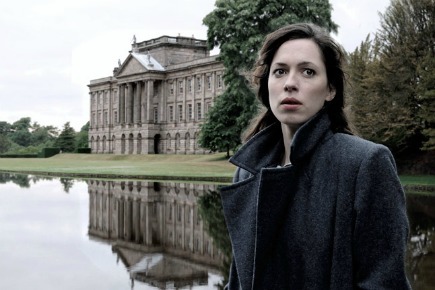 The Awakening is a true psychological thriller/horror set in post World War I England that stars Rebecca Hall as Florence Cathcart, a 1920's ghost hunter who helps uncover spiritualist fraud. Directed by Nick Murphy (Manor House, The Story of 1), he does a brilliant job at recreating this turbulent era as he melds fact with his fiction into this haunting story. The story begins with Florence Cathcart exposing a local medium and his cohorts as they try to rob a lady who is desperate to talk to her dead child. For Cathcart, ghosts do not exist. However as the story progresses, we soon learn that Florence has ulterior motives for her so-called ghost hunting due to her dead lover. Sadly her lover was killed in the war and to offer herself solace, she is hoping to prove the existence of ghosts by travelling around the country. This leads her to a boarding college in Cumbria where a "ghost" has been scaring the children there. 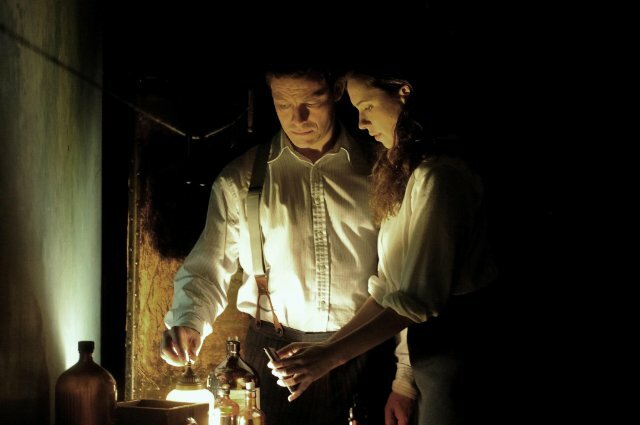 Although initially reluctant to investigate, school teacher Robert Mallory (Dominic west) convinces her otherwise and to compound the situation, this ghost may have been responsible for one of the deaths of the pupil. It is here in this remote boarding college where she meets a strange assortment of individuals as the school prepares to close its doors over the holidays. Whether it is the strange and creepy grounds keeper (Joseph Mawle), a pupil whom seems wiser than he actually is, the secretive Maud (Imelda Staunton) who is the children's carer or Robert Mallory's painful past, it seems that the "ghosts" may be the actual living. Nonetheless as Florence continues her investigation, she soon discovers a darkness within the school grounds that is quite reminiscent of another ghostly movie. The Awakening is quite a rollercoaster ride of emotions with a few decent scares to be found along the way. All in all, The Awakening is a fascinating insight into the psyche of Florence whom draws you in from the beginning. Director Murphy does a brilliant job at the casting as Rebecca Hall and Dominic West are perfectly cast as these two lonely and scarred individuals. To compliment the eerie plot, the setting of The Awakening is quite surreal and lends itself well to the backdrop of ghosts and murders. Unfortunately I cannot give too much away in this movie due to the ending that left me scratching my head on what happened... in a good way of course. Nonetheless, if you want an intellectual ghost story, than I would recommend The Awakening.